One thing scientists are fairly certain about is that the Cannabis genus originated somewhere in Central Asia, before spreading out and diversifying all over the planet. They’re also pretty sure that humans had encountered cannabis by the end of the last glacial period, just under 12,000 years ago. Prior to that, the picture becomes much more blurry. So let’s take a look at what we do know about the evolution of cannabis, starting right back at the beginning. It is thought that the plant, animal and fungi kingdoms diverged from each other approximately 1.6 billion years ago. At that time, representatives of each kingdom were simple, aquatic organisms such as algae and amoebae. Around 500 million years ago (Ma), land plants evolved from mats of algae that had adapted to colonise rocks. At first, these land plants were simple mosses, without true roots, leaves or seeds. Over time, the decay of these early plants contributed to the development of soil capable of supporting more more complex organisms. By around 350 Ma, forests of ferns and conifers (gymnosperms) covered great swathes of land. 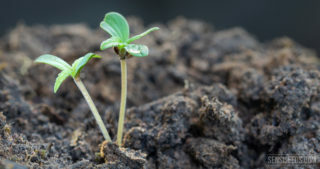 Flowering plants (angiosperms) like cannabis are the youngest of the four main groups of land plants, and are thought to have appeared around 130 Ma during the Cretaceous period – sharing the earth at the time with Tyrannosaurus rex and Triceratops, with Stegosaurus and Diplodocus already long extinct! Since then, the angiosperms have diversified into almost 350,000 different species, which makes theirs the most diverse and abundant group by far. Angiosperms make up almost every crop utilised in agriculture. When Did the Cannabaceae Family evolve? It is thought that the Cannabaceae family, which is named for its most famous member cannabis, evolved around 60 Ma, based on genetic testing and comparison to related groups of plants such as Moraceae, the mulberry family. The excellent work Cannabis: Evolution and Ethnobotany (Clarke & Merlin, 2013) states that Cannabis diverged first, and Humulus (the hop family) then diverged from Cannabaceae around 22 Ma.Furthermore, research by GW Pharmaceuticals suggests that Cannabis diverged from Humulus around 28 Ma. 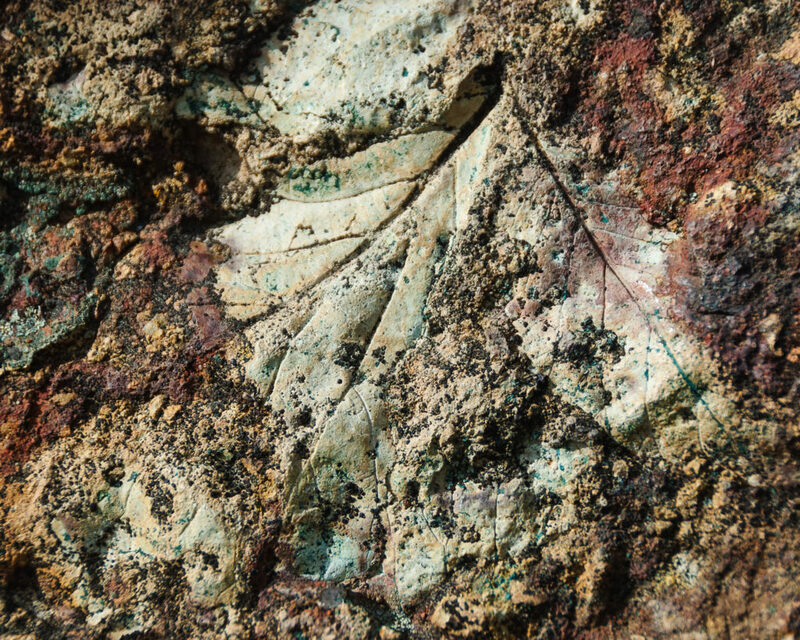 Leaf fossils strongly resembling modern cannabis and dated as far back as 38 million years ago have reportedly been found in central Kazakhstan, which may mean that the date of divergence was further back in time. Undoubtedly, future genetic studies will shed further light on this. So what did the immediate ancestors of the cannabis plant look like? Although we do not have much evidence, we can look at characteristics shared by its closest modern relatives to get some idea. Of all species that exist on the planet today, cannabis is thought to be most closely related to hops. Cannabis is the only member of its genus, also called Cannabis. There are three hop species, which are the only species in the Humulus genus. Cannabis and Humulus share several common characteristics. One common characteristic is the production of resin containing large quantities of terpenes, such as myrcene and humulene – by far the two most common terpenes in hops, and comprising a good proportion in many cannabis strains too. Another shared characteristic is leaf shape. Both species have palmate leaves (as do many other Cannabaceae species), meaning that the leaves look somewhat like an outstretched hand and fingers. The individual leaflets have toothed edges in both species. A third trait is dioecious reproduction, or having separate male and female plants. In flowering plants, this trait is relatively rare, occurring in only around 7% of species. Along with this is the fact that both species sometimes possess monoecious tendencies, or male and female flowers on the same plant. Most angiosperms have unisexual flowers, with male and female parts on the same flower. Both species also produce achenes as their fruits. Achenes (like sunflower seeds) are dry seeds encased in a hard shell; most Cannabaceae species produce drupes (like cherries: fleshy tissue surrounding a hard kernel). Another is floral structure, with loose clusters of small whitish flowers on male plants that appear very similar to each other. Male pollen is also so similar that it is very hard to distinguish between them in analyses of ancient pollen, and both species are wind-pollinated. However, although the female flowers look superficially similar, there are various differences. 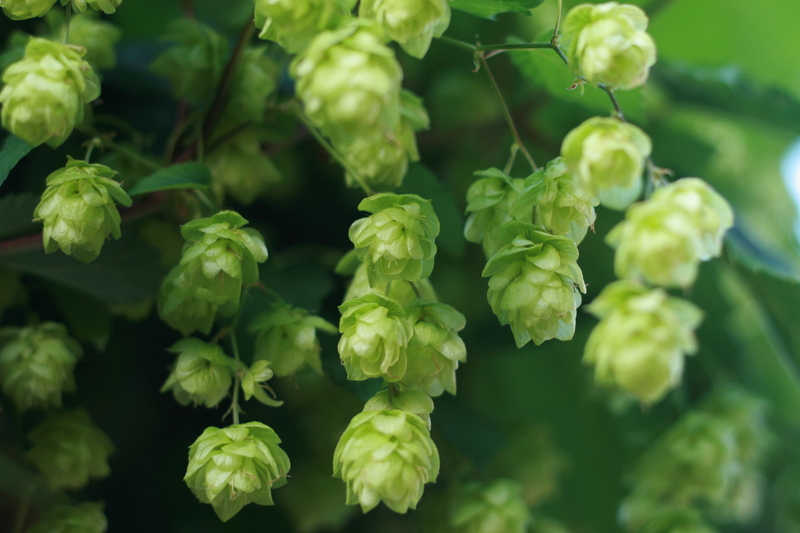 The female flowers of hops are clustered together to form cones similar in appearance to those produced by pine trees, with each cone hanging from a single stalk; female cannabis flowers are also arranged in clusters, but grow along the stems rather than hanging down from a single point. Female hop flowers also possess much larger bracts (the small leaves that grow alongside flowers) than cannabis plants, although some phenotypes of cannabis may have large bracts similar to hops. A second difference is that cannabis is an annual plant; the hop vine flowers and seeds annually but has a perennial rootstock from which it regenerates. This quality in hops allows it to be easily propagated vegetatively, simply by cutting off a chunk of rootstock and transplanting. This, needless to say, wouldn’t be good for cannabis plants, which humans have almost always propagated by seed (cloning is a much more recent development within the industry, in historic terms). Another subtle difference is that cannabis leaves are properly termed palmately-compound, while hop leaves are palmately-lobed. In the former type, the leaves have individual, clearly-differentiated leaflets, unlike the fused lobes of the latter. But sometimes, cannabis expresses palmately-lobed tendencies thought to be ancestral (such as the “Ducksfoot” and some Afghani and Hawaiian strains). What Did the Ancestor of Cannabis and Hops Look Like? Therefore, the common ancestor of modern hops and cannabis is likely to have been a species with high terpene production; toothed, palmately-lobed leaves; dioecious reproduction with monoecious tendencies; achenes; separate clusters of male and female flowers, and female flowers with large bracts. Both cannabis and hops are thought to have evolved in Asia – hops are thought to have originated in China, while cannabis may have evolved in the Central Asian region that encompasses parts of western China. So the common ancestor likely also had its habitat in these regions – which makes sense, as most Cannabaceae plants are found in Asia. Whether this plant was a shrub like cannabis or a twining plant like hops is not clear, but as there are apparently no other examples of climbing traits in other Cannabaceae species, it is likely that hops evolved in bines (twining plants similar to vines) sometime after the two lineages diverged. Cannabis is said to occasionally express vine-like tendencies, but reports are anecdotal, and it seems more likely that the common ancestor was an erect plant like cannabis. What Happened After the Cannabis Lineage Split Off? If the Cannabis and Humulus genera diverged 28 million years ago, then the cannabis plant had almost that entire time to evolve before the Homo genus even appeared on the scene (around 2.8 Ma), and another million years or more before the first Homo species (H. erectus) reached Asia. During that time, fundamental changes in climate and atmospheric conditions would have caused corresponding changes in plant habitats, forcing plants to adapt rapidly to survive. For over 25 million years of its evolution, cannabis enjoyed a “greenhouse earth” climate in which temperatures and carbon dioxide levels were high, and the world had no glacial cover at all. During this time, the plant spread throughout much of the plains and hills of Central Asia, possibly extending to Southeast Asia and even parts of Europe. However, global temperatures and CO2 levels were slowly cooling down throughout that time; such climate cycles have occurred throughout Earth’s history. Then in around 2.6 Ma, the planet was tipped into a new ice age that has continued right up to the present day (what we’re in right now is an interglacial – a short period of warmth in between much colder periods). At this point, vast swathes of the planet iced over. Continental glaciers (vast ice sheets that cover entire land masses all the way to sea level) stretched as far as 40 degrees latitude from the poles, and thousands of plant and animal species went extinct, or were pushed into “refuges” that provided favourable enough conditions for survival. The Cannabis genus was lucky enough to survive, and it is thought that it did so by occupying various refuges in Central and Southern Asia. There is little doubt among scientists that this period would have seen some of the most dramatic evolutionary change within the genus, as it rushed to produce genotypes that would survive in a radically different set of habitats. 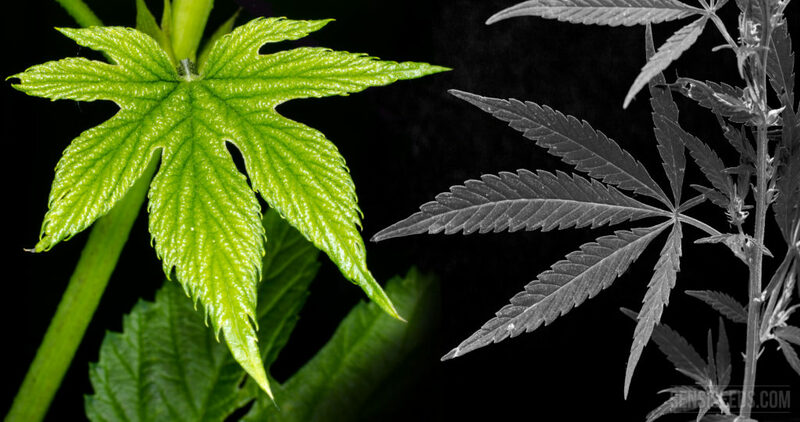 It is thought that the adaptations that led to the development of “sativa”, “indica” and “ruderalis” biotypes is likely to have occurred during this time. 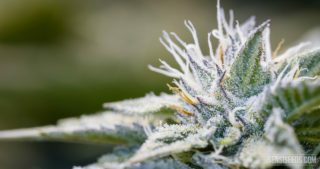 It is also believed that during this time, the cannabis plant gained the ability to produce THC, due to a mutation in the cannabinoid synthase gene. Thus, by the time cannabis began to split off into the types that we know today, it already had the ability to produce THC. The evolutionary pressures acting on it since then, both human and environmental, have influenced how much THC the various populations produce. 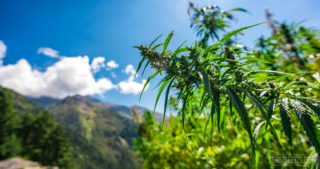 It’s safe to assume that cannabis maintained parts of its habitat range in Central Asia by the time the ice age began, as genetic analysis has shown that the most diverse wild gene pool still persists in parts of Kazakhstan, Afghanistan and western China. However, certain isolated populations developed traits that set them apart from that main gene pool, giving scientists today the task of working out whether these differences are enough to qualify them as separate species. Some researchers believe that the Cannabis genus is comprised of three species and various subspecies. This is the view held by Clarke & Merlin in Cannabis: Evolution & Ethnobotany. The other school of thought holds that Cannabis is just one species, which expresses a wide range of traits according to its environment. This range of regional traits gives us the concepts of “sativa”, “indica” and “ruderalis”, but are not quite as conventional wisdom holds. In the valleys and foothills of northern India and Pakistan, the type we know informally as “indica” emerged. This type is aggressively seasonal, as it’s adapted to a climate with long, bright summer days and freezing winters. It may also be the main “drug” biotype, and the high-THC strains we think of as “sativas” may in fact derive from narrow-leaved subtypes of “indica”. Cannabis also spread and established separate populations further south and west, in the desert steppes of Afghanistan and Turkestan. As it did so, it got bigger, its flowers got looser and more mould-resistant, in response to higher temperatures and humidity. The type we think of as “indica” may actually be more properly known as Cannabis afghanica. In Central and Northern Asia, the C. ruderalis type (with its small stature, low resin production, and ability to flower according to age) became established, as a response to cold temperatures and low light conditions. 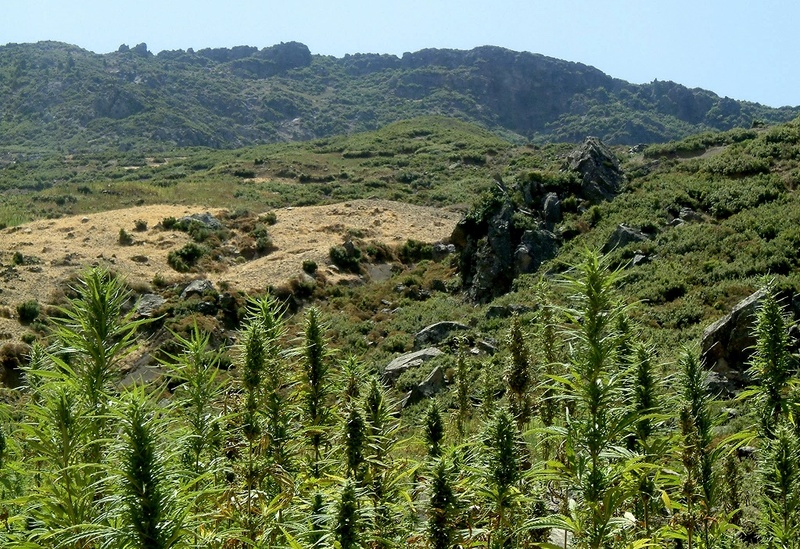 In other parts of Asia, and also parts of Europe, types evolved that are more similar to what we know as hemp today. These types were also adapted for cool temperatures, but not as extensively as ruderalis. 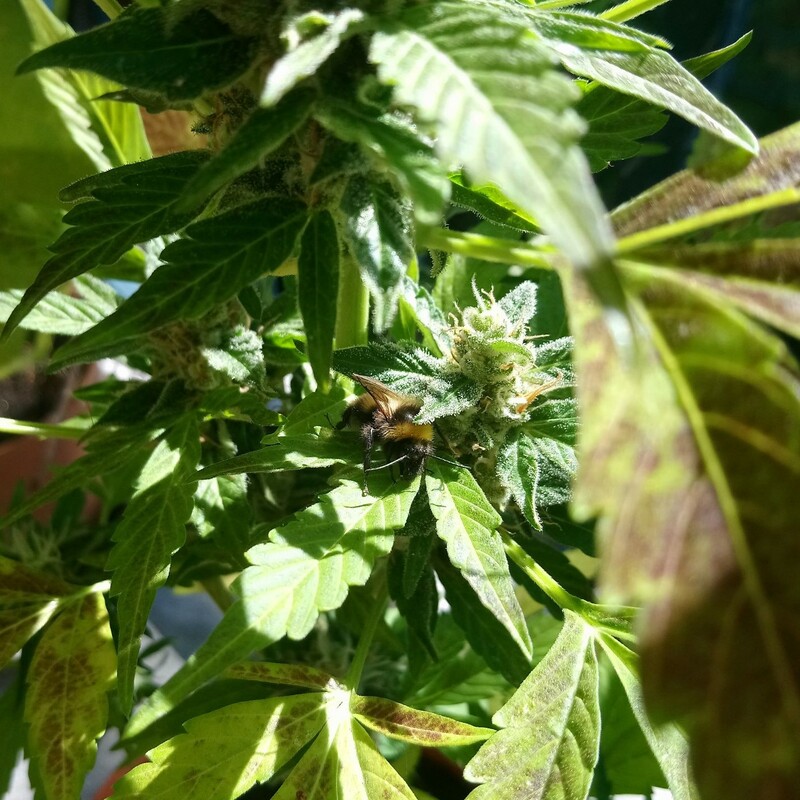 They still flower according to season, but do not produce large quantities of cannabinoids. European hemp is actually C. sativa, while some hemp populations in Asia derive from C. indica. The Cannabis genus has so much phenotypic plasticity (ability to produce diverse variations in phenotype) that there are certainly some fundamental differences between the biotypes. Furthermore, during the last two million years or so of rapid evolution, the biotypes would also have been assisted in their adaptive path by humans, and possibly even by earlier Homo species like H. erectus. Indeed, human selective breeding over the past 12,000 years or so may have been the primary selection pressure on the evolution of cannabis varieties since the last glacial period ended. We are certainly the reason that cannabis now enjoys the vast global range that it has today. A really good article, well written. Thanks for putting it out. I learned something and now when I talk about my hobby I'll sound qualified and convincing like I know what I'm talking about. Good job. 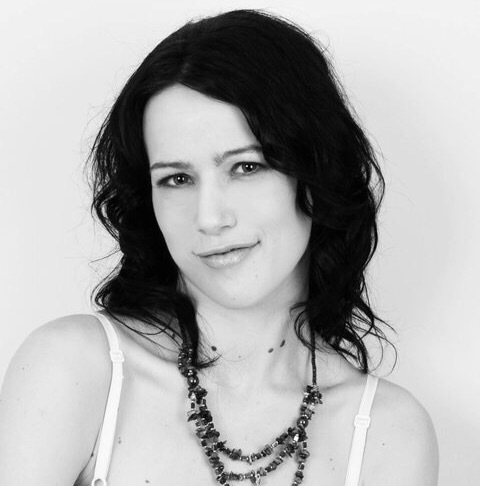 Love the article! Thank you for the insight..Smilie'. 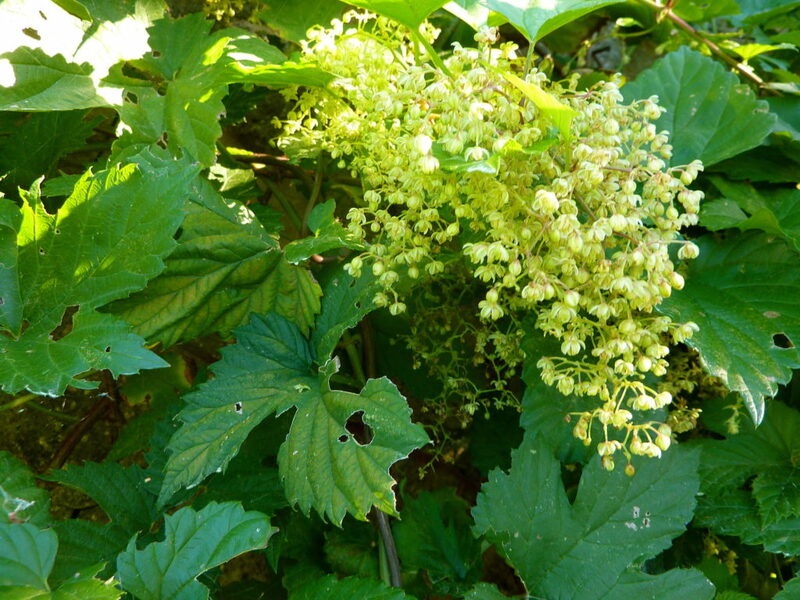 You have not mentioned the wild hops species that has flowers identical to female cannabis ones. They grow around here (coastal New England) and the buds form with the same clusters of upright white hairs. They even occasionally are tinged red. And the male flowers look much more like cannabis than the hops you show. I have never found an identification for this perennial vine and sorry I don't have any good photos. Do you know the species? Can you name all of the parts of the cannabis plant? Can you explain what they all do? Do you want to be able to? 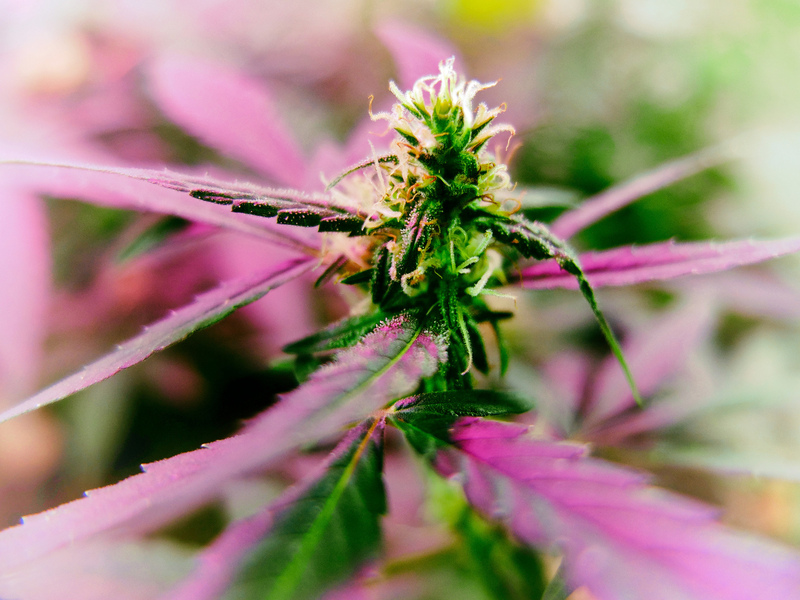 This article gives an introduction to the anatomy of a cannabis plant, and whether you are a novice or a more experienced gardener, we hope you find it entertaining and interesting! It can be difficult to obtain an accurate record of the evolution of a plant species. Cannabis plants do not possess bony skeletons, which are often the sole remnant of an ancient animal species, and are comprised of vegetative matter that decomposes rapidly. Despite this, traces left behind in fossils and soil can yield valuable clues. Diseases, pest infestations, poor environment and deficiencies can all make cannabis plants look a bit weird. But this article is all about DNA mutations, which can give rise to even stranger looking plants!